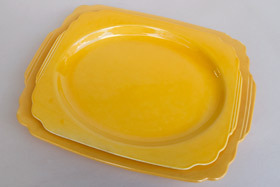 Circa 1933- 1944. 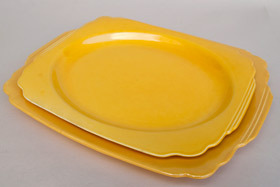 Large Version: The larger of the two sizes, the 13" Riviera platter demands much more presence than its 11" counterparts. 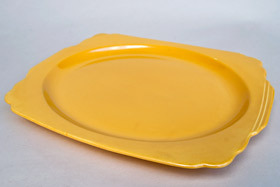 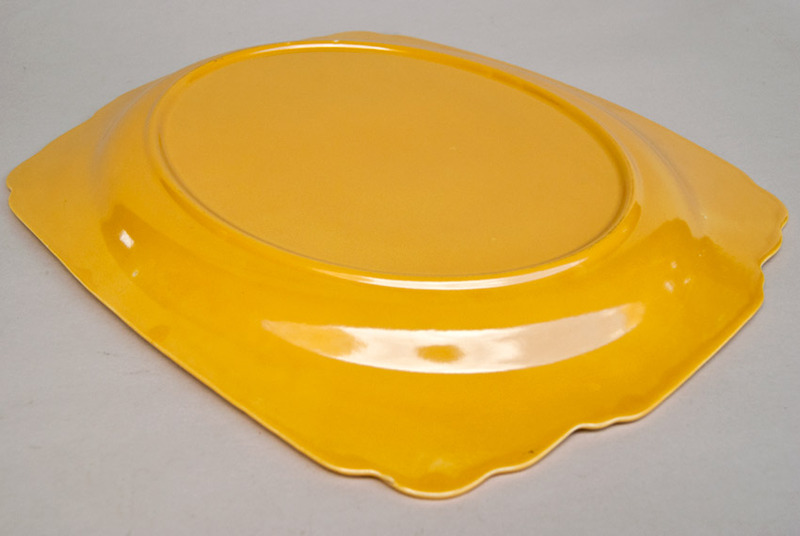 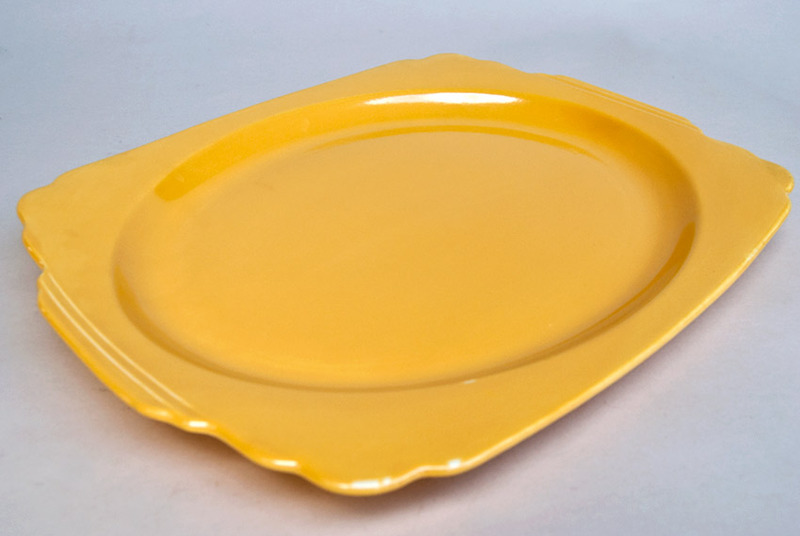 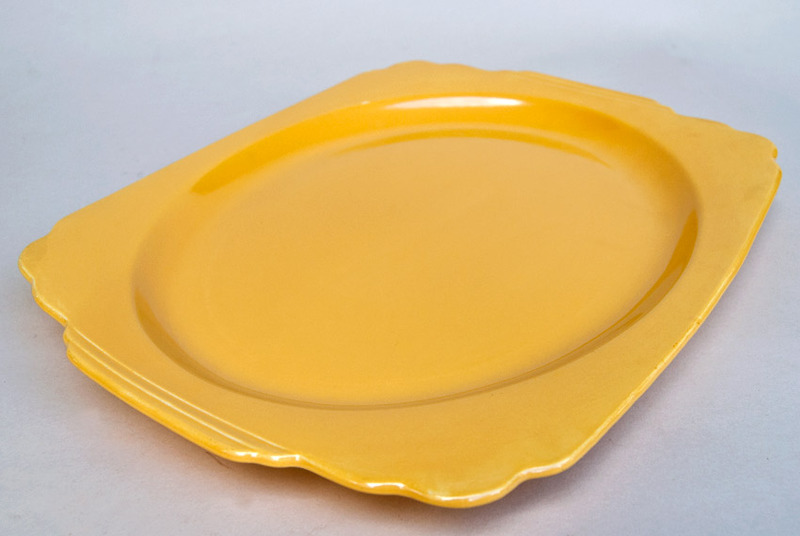 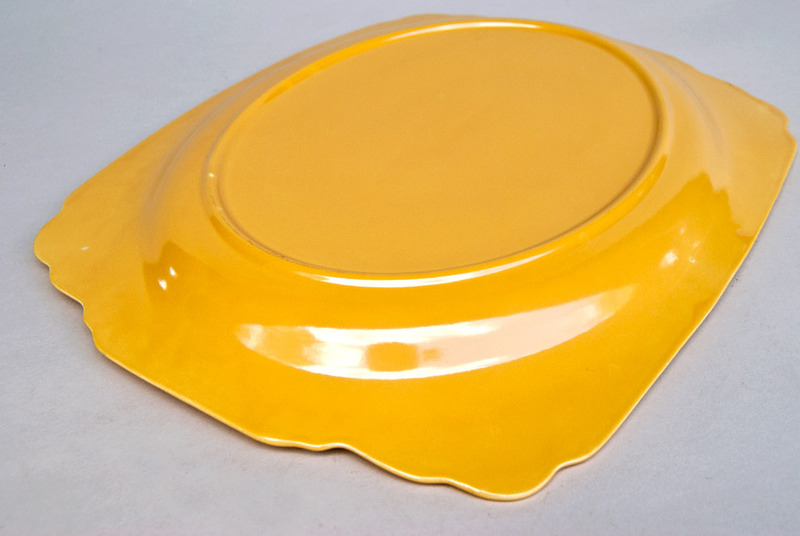 This example in the sunny harlequin yellow glaze is in excellent condition. Measures 13 1/2" in the kiln for a second firing. Formed in the ram press and then fired once, Hand dipped in the bright yellow glaze and placed on stilts in the kiln for a second firing. 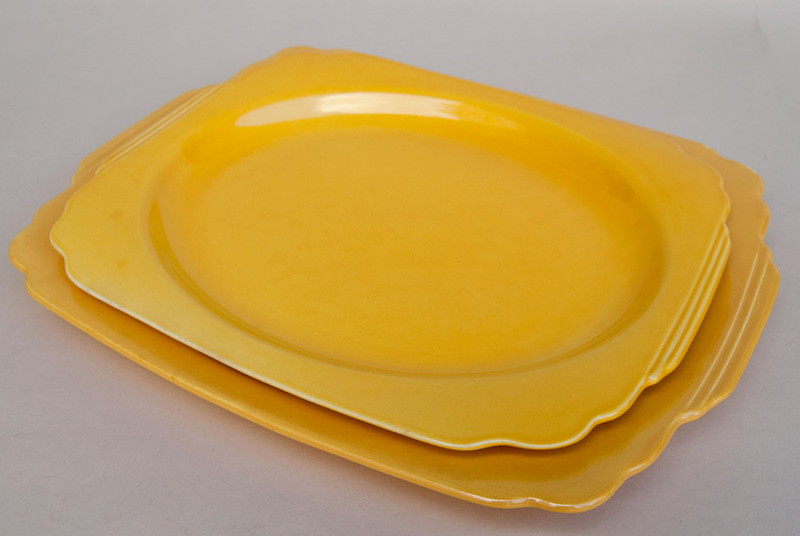 Great amount of handwork seperates yesterdays vintage American made dinnerware from todays automated imported wares. Collectors will appreciate this platters great size, shine and damage free surface, both front and back. 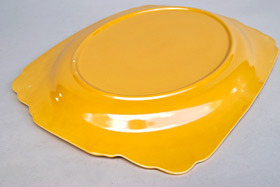 Shown underneath the 11" platter for scale in the last two photographs. 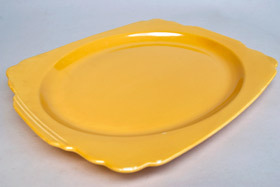 FIESTA is a registered trademark of The Homer Laughlin China Company. HARLEQUIN, HOMER LAUGHLIN and THE HOMER LAUGHLIN CHINA COMPANY are trademarks of The Homer Laughlin China Company. 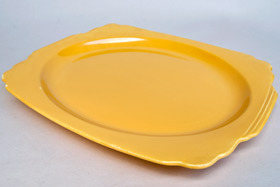 VintageAmericanPottery.com is not affiliated with, endorsed or sponsored by the Homer Laughlin China Company.